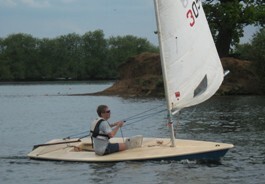 The first warm day of the year saw a dozen boats take to the water in very light but warm conditions. Mike Pritchard won the gold fleet race from Jill Reid and Kevin Milton. Andrew Beaumont won the silver fleet from Louis Mok and Iona Reid with Richard Savage winning the bronze fleet from Nick Colbeck and Brian Davies. The fast and slow fleets where won by Richard and Mike respectively. Racing continues again this Sunday.